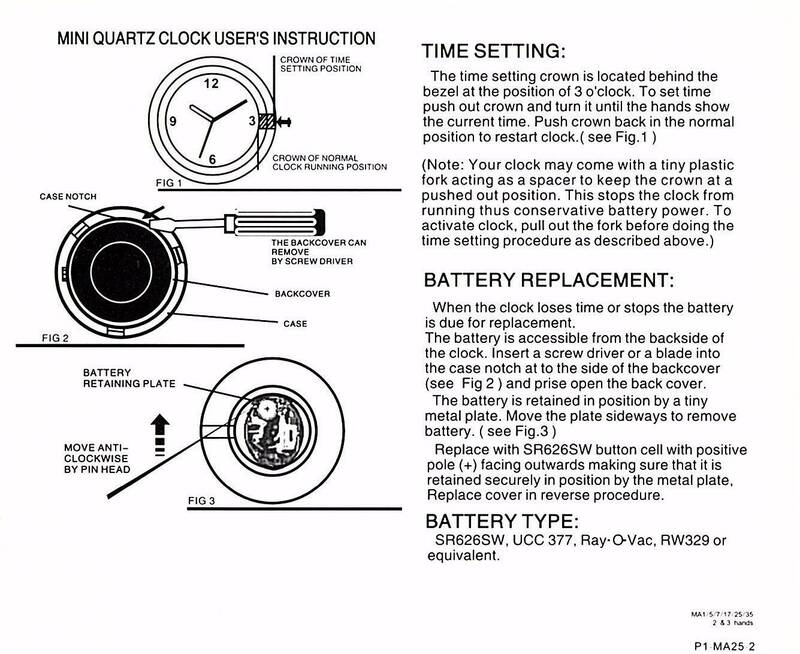 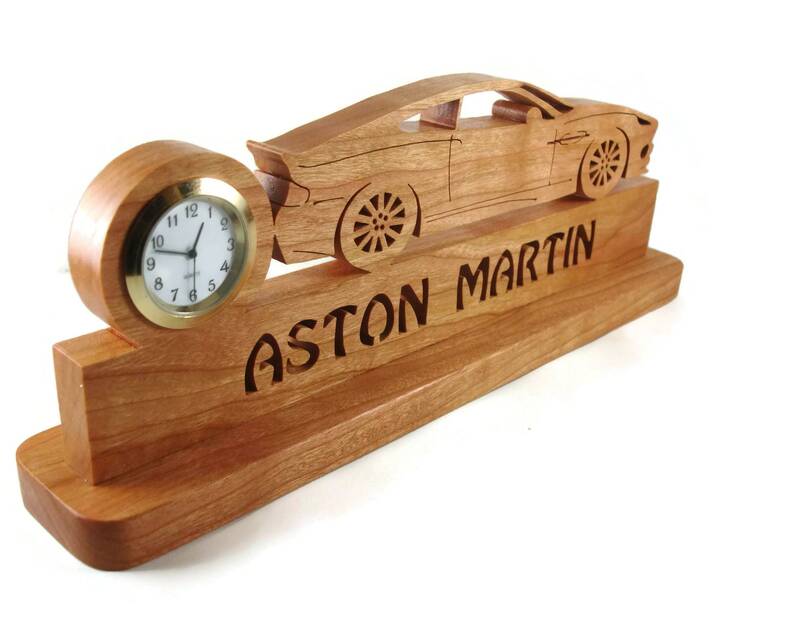 If you or someone you know is a Aston Martin enthusiast, specifically the Aston Martin Vanquish, then this desk clock is the perfect gift to get for yourself or that special car enthusiast friend. 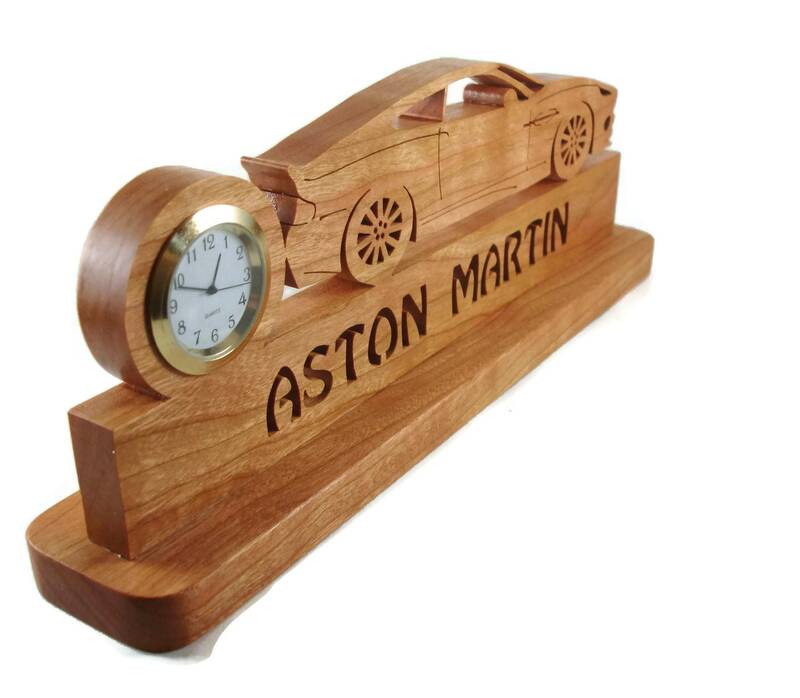 A true conversational piece of wood art that will spark conversation among car enthusiast for years. 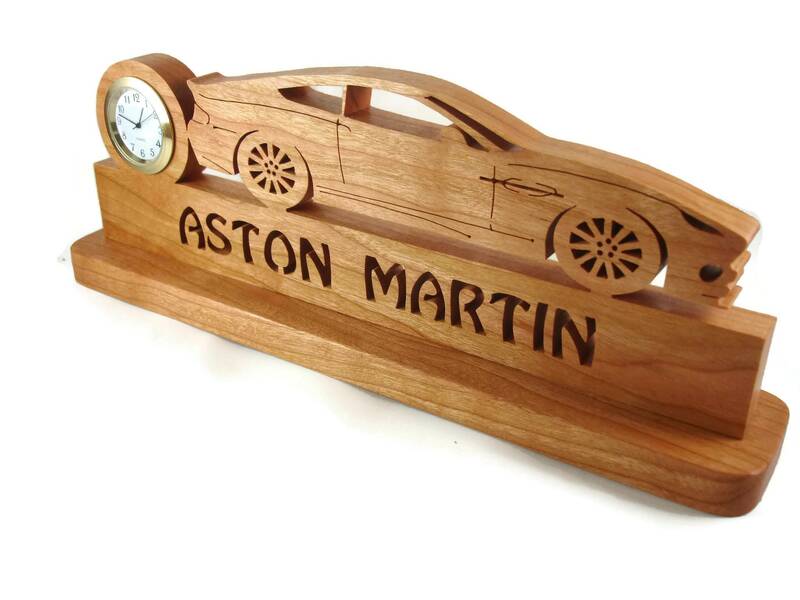 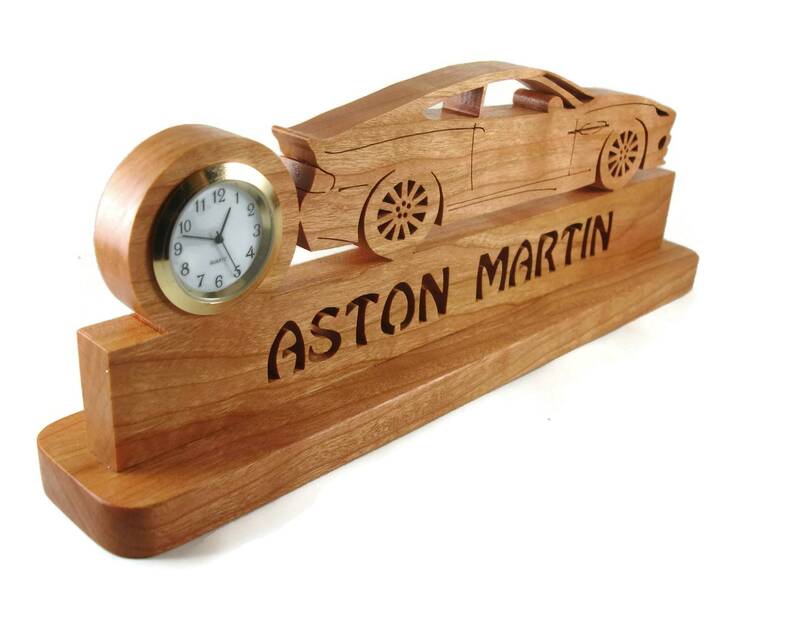 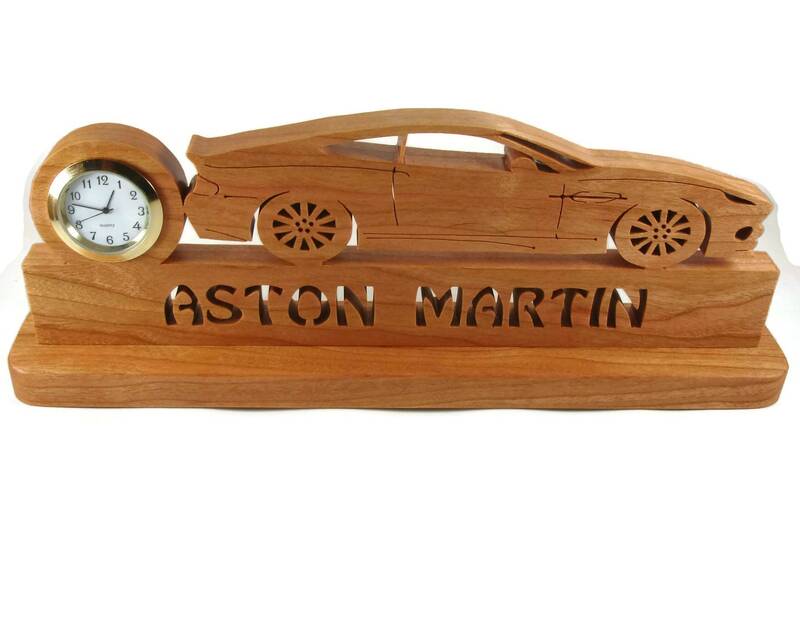 This Aston Martin Vanquish desk or shelf clock was cut by hand ( Handmade ) from 1/2 - 5/8 inch thick Cherry wood using a scroll saw. 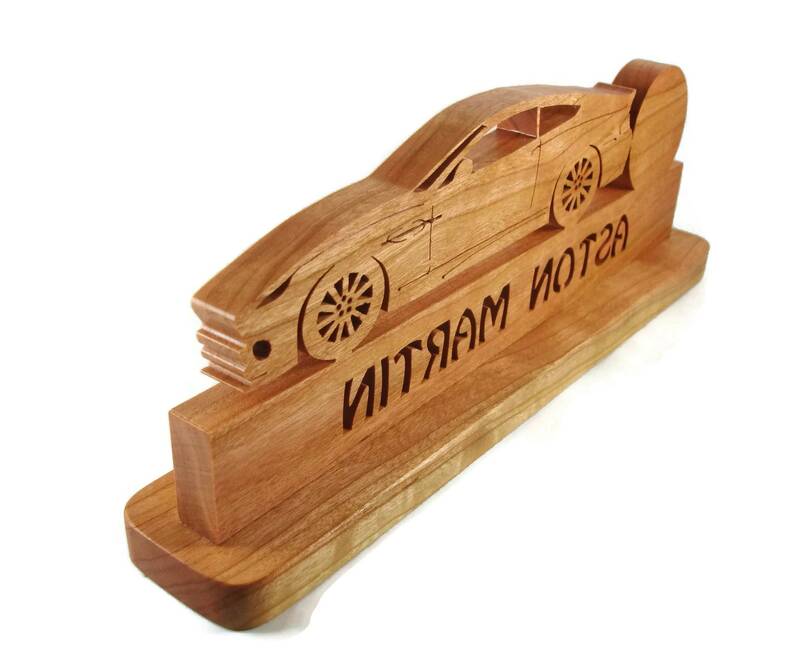 This features the side view of a Aston Martin Vanquish .This is glued to a base for stability. 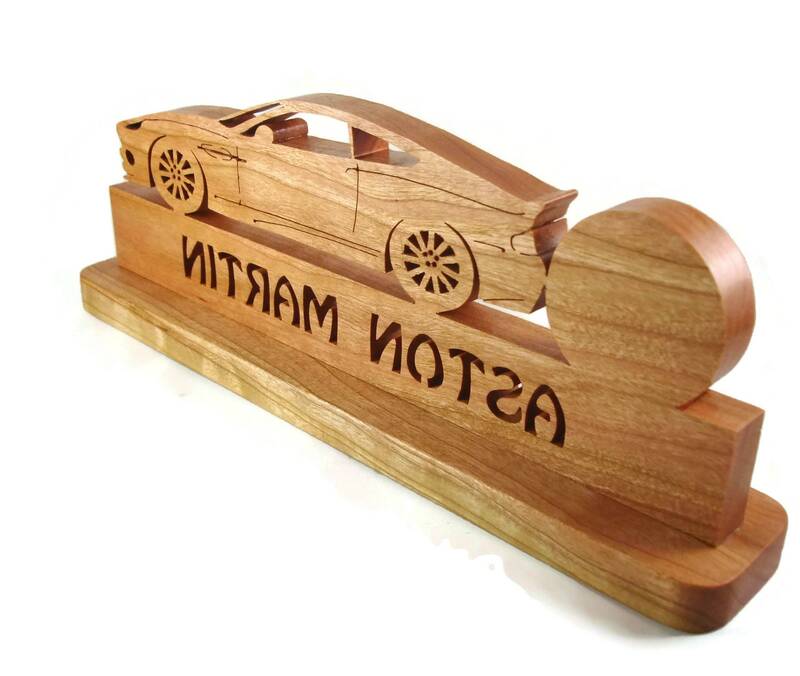 Finished with my homemade mixture of beeswax and mineral oil for a beautiful natural wood color that will last for many years of enjoyment.